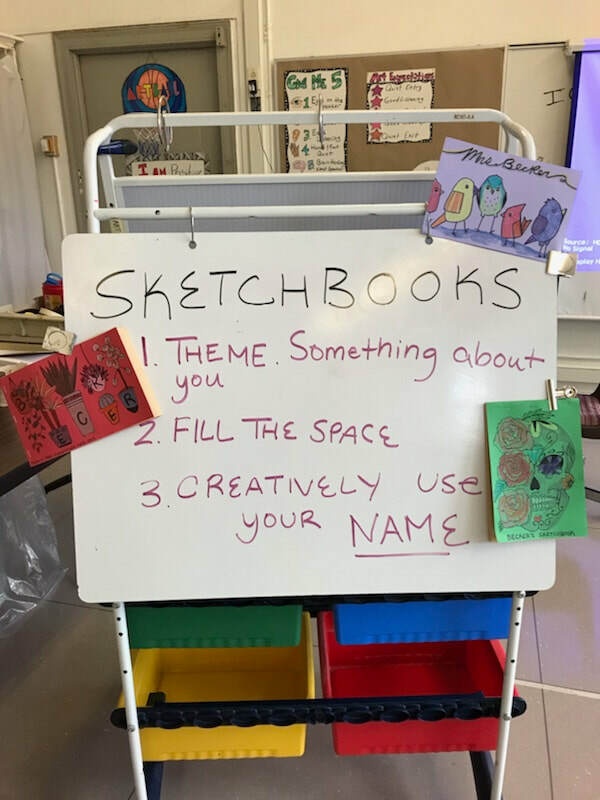 Grades K-5 discussed the extraordinary purpose of a sketchbook and why they are important for artists of all ages. Students looked at sketchbook drawings from Frida Kahlo, Vincent Van Gogh, and Pablo Picasso as sources of inspiration, then went ahead to design their own sketchbook cover with drawings and patterns unique to them. These sketchbooks are kept in the Art Room and are used to draw while practicing for projects or during their free time!